Spring time deck view looking to the East. Spring time deck view looking to the West. 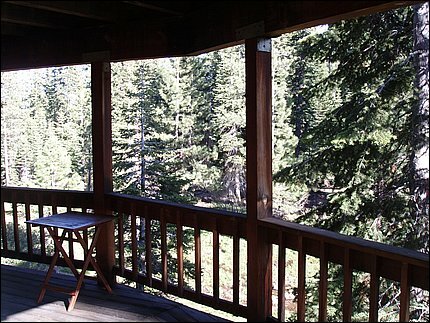 The upper deck gets lots of sun to warm you up on chilly mountain days. Tall trees are close enough to give you some shade when you need it. 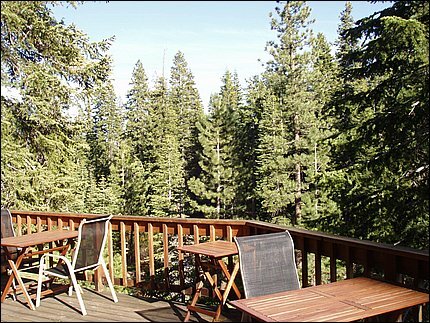 The lower deck can be an escape to the cool shade on hot summer days.